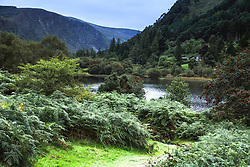 Glendalough is home to one of the most important monastic sites in Ireland. 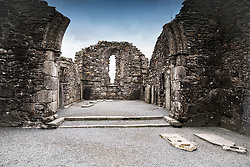 This early Christian monastic settlement was founded by St. Kevin in the 6th century and from this developed the “Monastic City”. 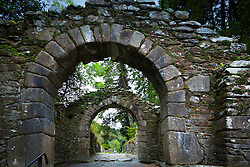 Most of the buildings that survive today date from the 10th through 12th centuries. 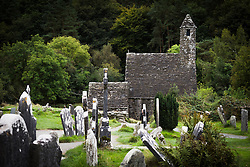 Despite attacks by Vikings over the years, Glendalough thrived as one of Ireland’s great ecclesiastical foundations and schools of learning until the Normans destroyed the monastery in 1214 A.D. and the dioceses of Glendalough and Dublin were united.%0A%0AThe largest and most imposing of the buildings at Glendalough is the cathedral. It had several phases of construction, the earliest, consisting of the present nave with its antae, projecting walls.